1945 We are looking for a telegram from Bud. Marie came by Daddy is sleeping I had my hair fixed. The 1942 entry is interesting. They must own two places somewhere else, probably Taft. I’ll have to do more research on where 306 and 308 are. 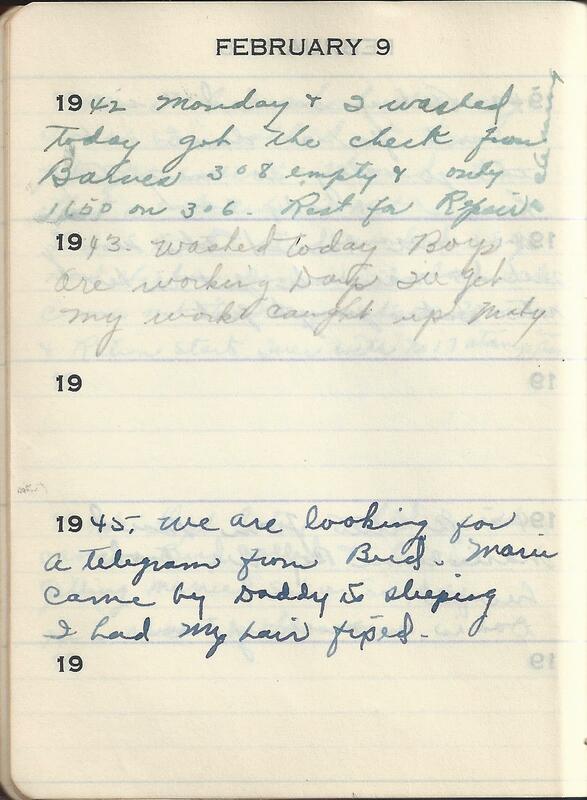 They were looking for the telegram in 1945 from Bud to say he was married. They must have all been very excited.